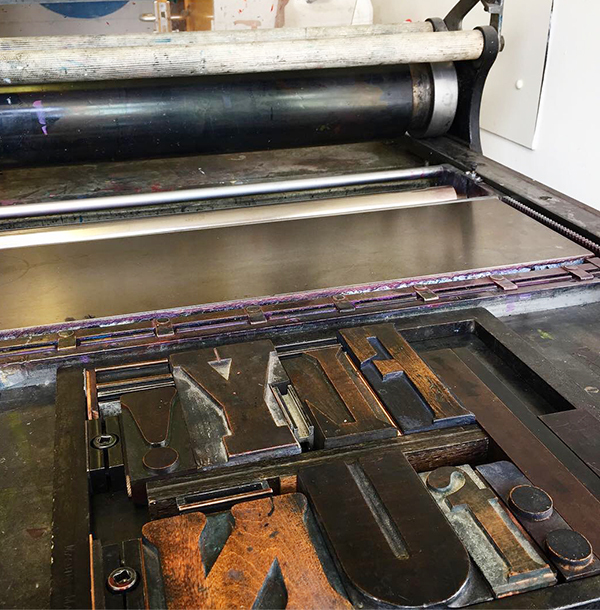 PERSONAL PROJECT | Learning how to use the material for working with letterpress. 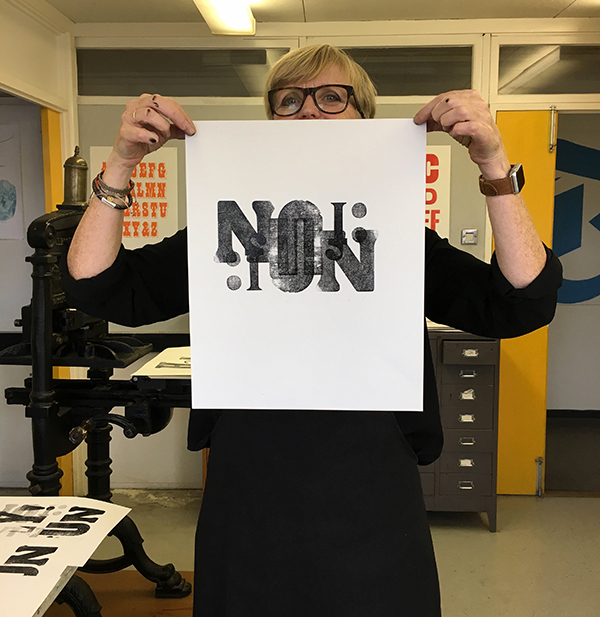 Department of Typography & Graphic Communication, University of Reading. Looking forward to working with more letterforms and colours. PERSONAL PROJECT | Are things predetermined or is it just a coincidence that life sometimes change direction? 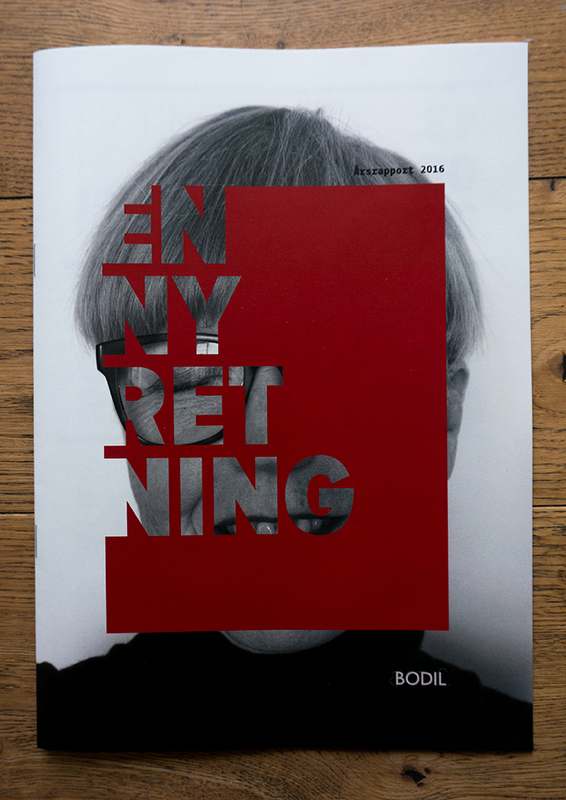 This year´s theme for my annual report is about how a talk with a former colleague in 2016 changed my perception of my own company, my business and my everyday life for the next three to four years… Or maybe for the future? 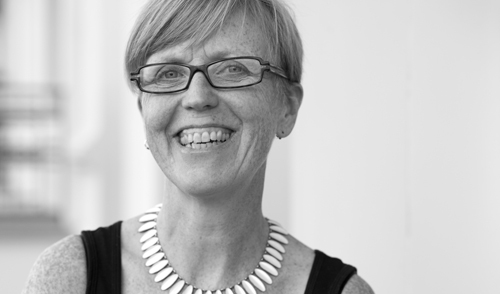 She told me about a Norwegian Professor who has a Research Degree in Typography. I was inspired and suddenly realized that I was ready to slowly change my career. Where does this decision brings me? – I don´t know – time will show. 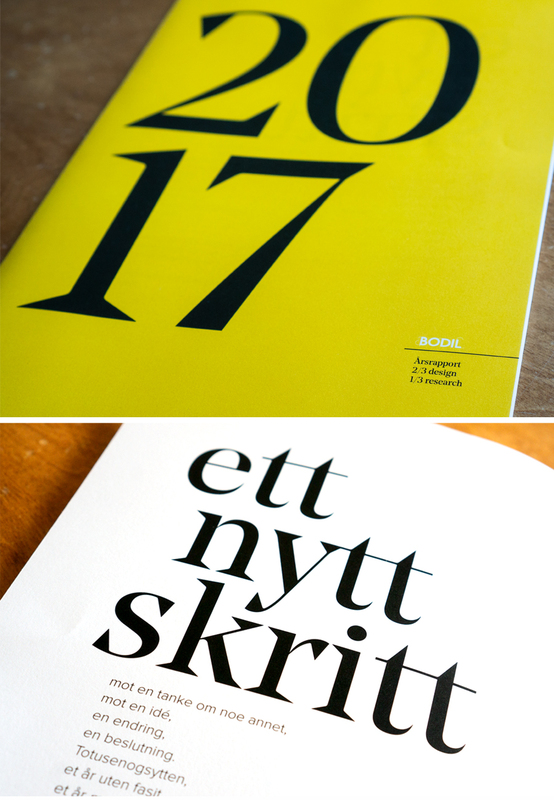 PERSONAL PROJECT | New year, new annual report for Bodil, my own company. This year the theme is pattern. Our lives are filled with patterns, we can see them everywhere; outside, inside, in nature, on signs, clothing, interior, vegetables… Pattern can be simple or incredibly complex. Pattern is often used by designers, it’s easy to use, yet so difficult. How do we communicate with pattern, what should it say, what colors to use, what forms must be designed and repeated? The possibilities and combinations are endless. Pattern can stand out, do the job unique, it can surprise and make sure we understand. How can we analyze and deconstruct, create rhythm and always find new details. This years annual report reflects around some of these questions. I always try to find something that makes me happy. When I was looking for something that could freshen up my head, I bought a bright yellow wallpaper with colorful birds to have by my kitchen counter. 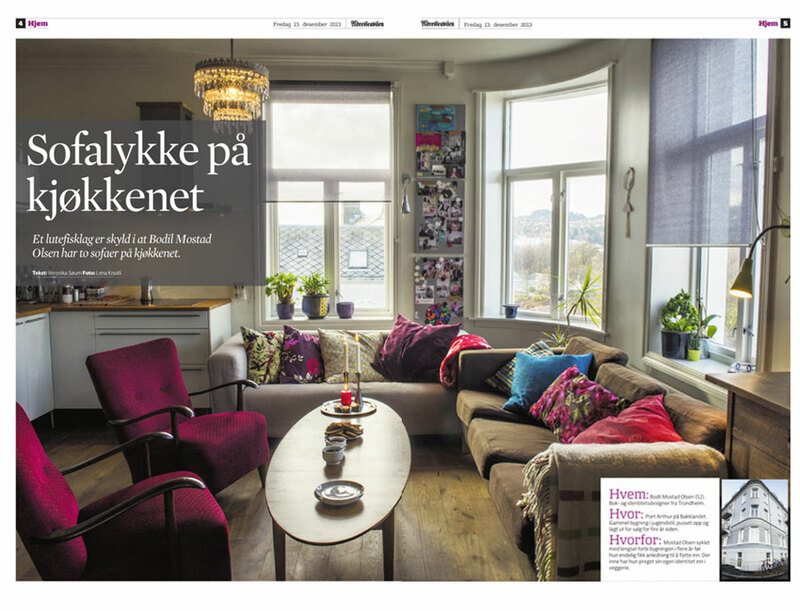 Four pages in Norsk Ukeblad this week where I am interviewed about my great apartment, two sofas in the kitchen, colors and how I work. 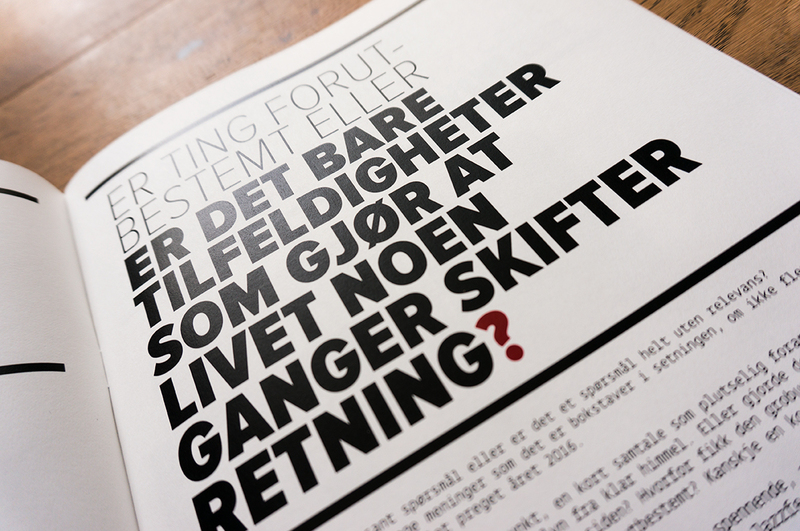 Written by Veronika Sørum. Photos by Lena Knutli. PERSONAL PROJECT | An important part of 2013 was a study trip to Japan. The trip was related to support from The Scandinavia – Japan Sasakawa Foundation, where the gain was to get an insight into Japanese visual communication. 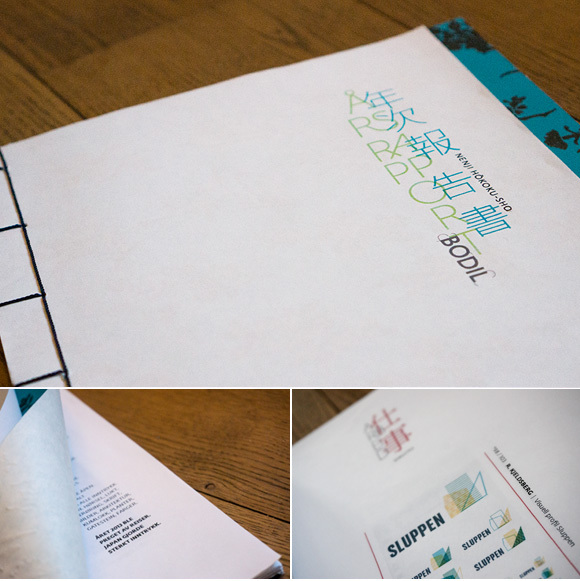 The annual report for previous year is therefore characterized by the trip and my experiences with what I observed combined with a course in Japanese bookbinding. 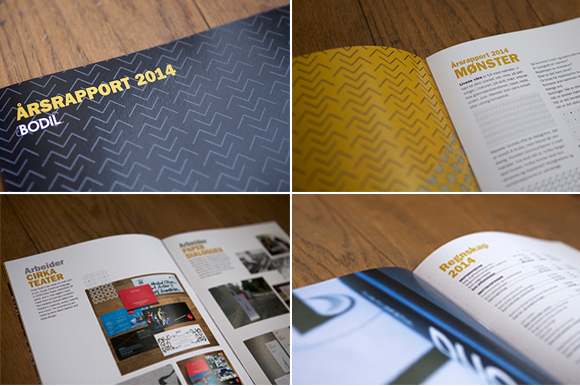 I have within the report played and experimented with Japanese and Western typography. What happens when these two merge and we get a brand new expression? To make an annual report every year for my own company is a great way to document all my work and write about my experiences in my own way. 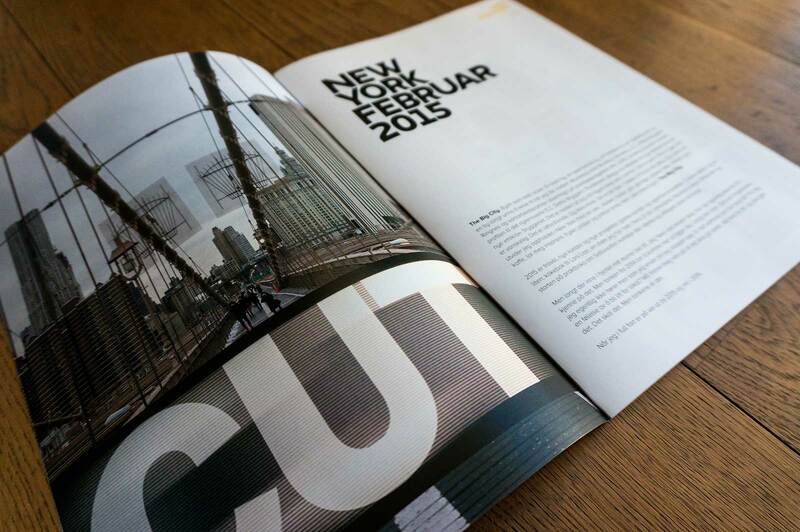 I try to challenge myself every year to approach a new theme and a new way of using images and typography. 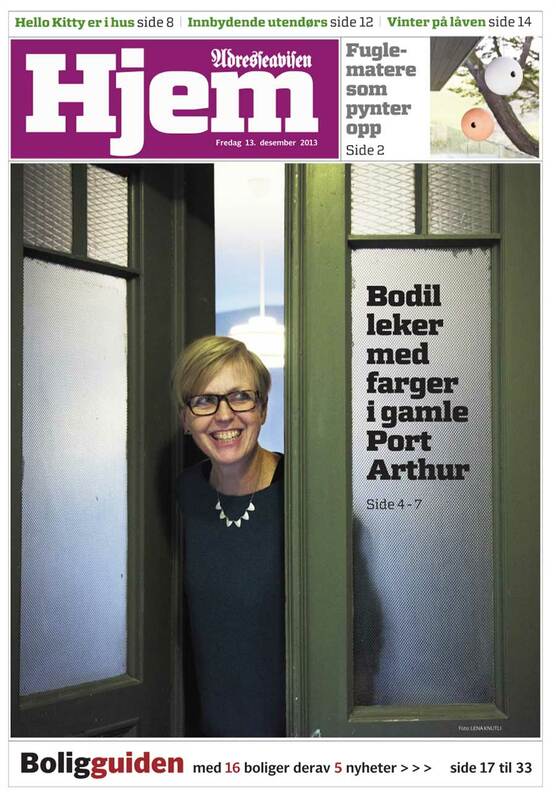 With 5 pages in Adresseavisen, Veronika Sørum has written a great story about how I live and work in my lovely apartment at Port Arthur. 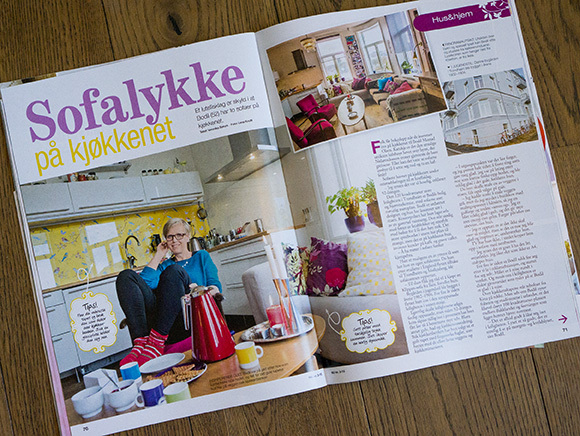 Great pictures taken by the photographer Lena Knutli shows my sofas in the kitchen, my furnitures I inherited from my mother and my grandmother and the view towards the Dome and the area Bakklandet. There is no doubt, I love the place I live and work. 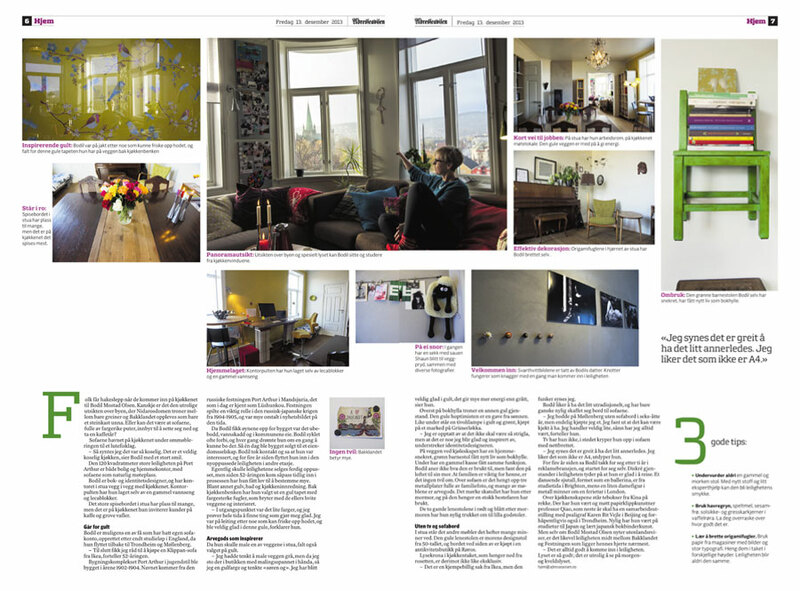 PERSONAL PROJECTS | To look back at 2012 feels a bit like having settled. Not with all of me but with a toe or two. I love to work with books – the medium that takes us from the beginning to the end, that inspires, informs, challenges, irritates, excites and provides endless adventures. The joy of being a part of the process, see the results and still have the desire to start again. TOKYO AND KYOTO, OCTOBER 2013. PERSONAL PROJECT, WORK | The starting point for my trip to Japan related to the support from The Scandinavia – Japan Sasakawa Foundation, was to gain an insight into Japanese visual communication. I visited both Tokyo and Kyoto and documented in the first place the Japanese visual language using the camera. 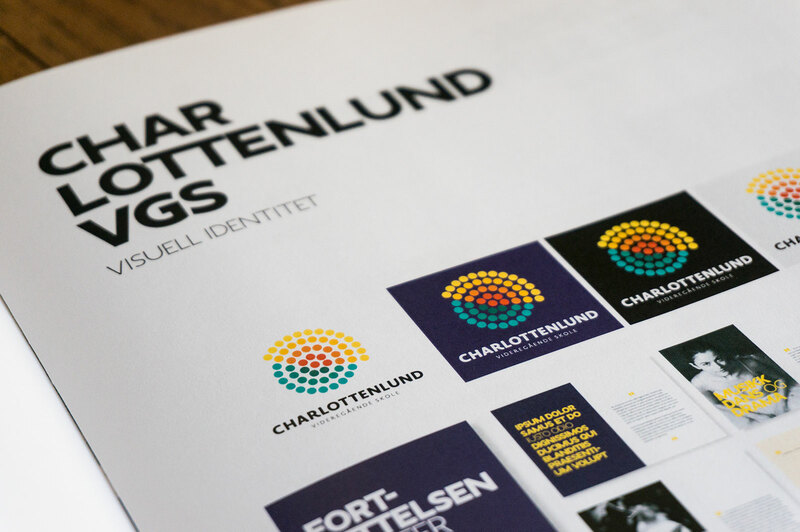 I started wide with many different directions; architecture, pattern, manhole covers, signs, clothing, food, stores, packaging design and posters. The result has been nearly 1000 images. In addition, I visited various galleries, and had specifically benefit from an exhibition at the Ginza Graphic Gallery, where the award-winning graphic designer Rikako Nagashima showed various works. In addition, I worked on making contacts. I had a meeting with the Art Director Kaoru Matsuno at Hara Design Institute/Nippon Design Center. She works closely with Kenya Hara who is also the Art Director for Muji. In addition, I worked two days with Mr. Yamamzaki Yo, where I was trained in ancient Japanese bookbinding techniques. Mr. Yamazaki Yo is a renowned bookbinder in Tokyo. Given the goal of the trip, it’s been an interesting journey. With the imagery I now hold, it will be interesting to go more in depth of Japanese design in order to relate it to Western design. The contact with Mr. Yamazaki Yo gave me not only a concrete introduction into Japanese bookbinding techniques, but there was also a fundamental insight into the Japanese way of life, aesthetics and accuracy. Kaoru Matsuno gave an insight into how Hara Design Institute works in various design processes. The journey and the process has given me inspiration to convey impressions through both lectures and a book. The lectures are intended as a process description based on the experiences I have gained. 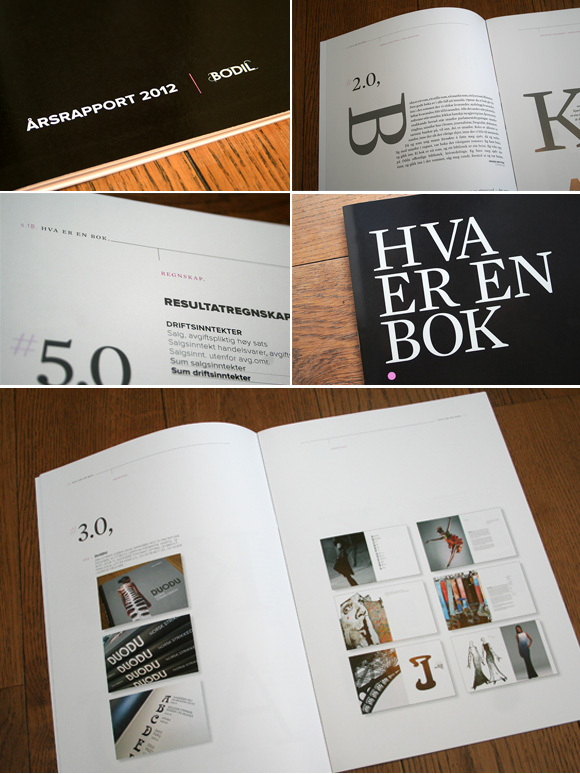 The idea about the book is to create inspiration for both Japanese and Western designers. An alternative, or as an addition, it is also possible to think of an exhibition. I have been in contact with Hagiso, a small, newly renovated Japanese house in Yanaka, north of Tokyo, that is a venue for art and other events. They are open to offer an exhibition space for the project. The idea of the exhibition is to introduce Japanese and Western design in a possible artistic context with the book and the bookbinding techniques as a starting point.